The Pomp Room, for years a rock and roll paradise in Sioux Falls, started at the northwest corner of 10th Street and Dakota Avenue. In 1965, Chris Miller and his wife sold the business to former police officer Dale Dean, who moved it to 215 N. Dakota Ave. Ranchers Duane and Jeannie Ertz of Fairfax, SD, bought the Pomp Room in April 1971. Jeannie booked the bands, starting with Steve Ransom’s group The Medicine Show, which played Monday through Saturday nights. Two other house bands claimed the title of “longest running house band” (eight months of playing Monday through Saturday). Priceless, featuring Rod Jerke, Scott Klaverkamp, and Bob Maag, and Choosy Music, with Will and Vesta Prines, Tom Sitzler, and Butch Zierath matched each other’s long tenure. The bands and bar were moved upstairs in 1973, and an addition was built southwest of the original building in 1976. A $1 cover charge started in 1980, when beer was $1. Powerplay and Michigan-based Calico were featured bands. The first national act booked was The Association. The Ertzes fought disco fever by hiring heavier rock bands – early Wakefield, Dareforce, The Nitro Brothers, Starwolf, and The Sharks. heap Trick played the venue twice as did Marilyn Manson. MTV chose the Pomp Room for a “Rockumentary” series. In 1991 a local band, Crash Alley, was playing when Aerosmith crashed the party. Steven Tyler and crew took over the place following an Arena concert, and MTV captured the moment on film. 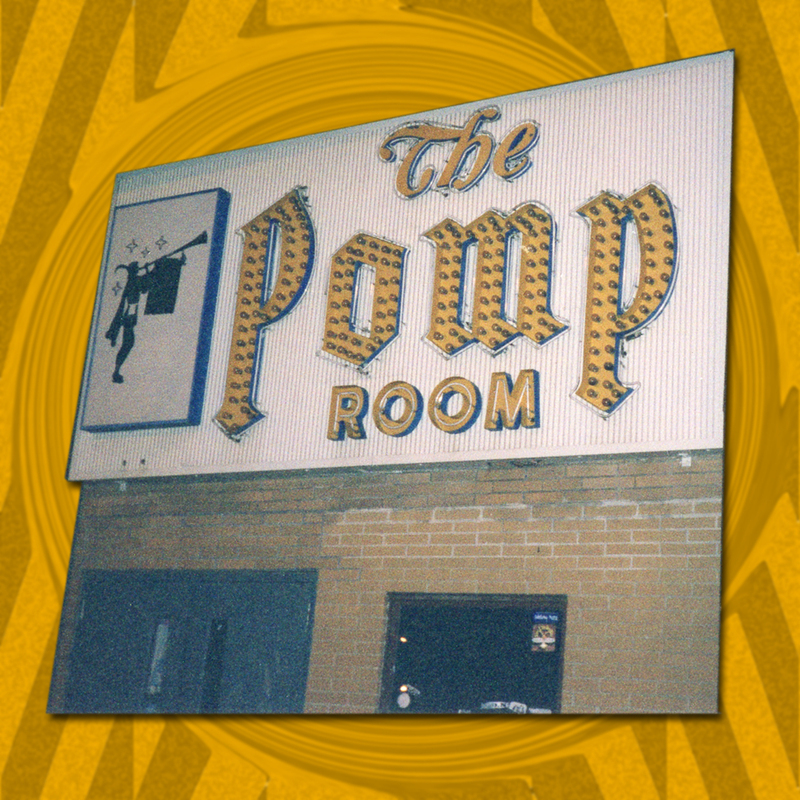 The Pomp Room, which had severe structural issues, closed the last day of 1998. Joni Mitchell’s “Big Yellow Taxi” says it best: “Don’t it always seem to go that you don’t know what you’ve got ‘til it’s gone? They paved paradise, put up a parking lot.” In this case it was a parking ramp.